Kevin Elliott is the Marketing and Communications Coordinator at ARA, an Adjunct Professor of Professional Communications at FSU Panama City, and a business owner for 15 years. With a core passion for business and helping others, Kevin Elliott is often asked to speak for several events throughout the year in our community. 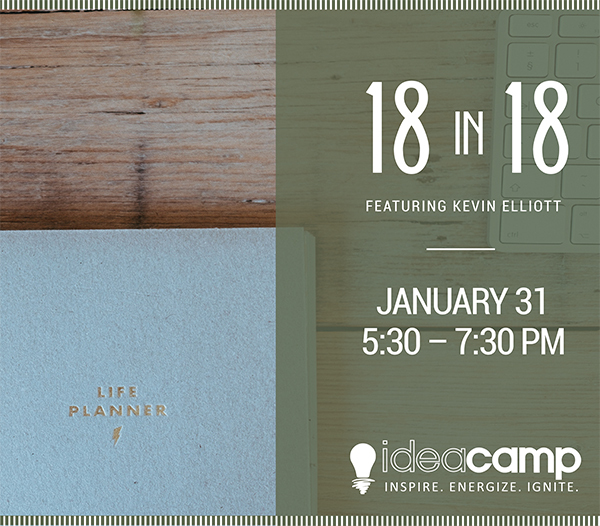 IdeaCamp is a laid-back networking event for the movers and shakers, the podcast-listeners, the goal-setters, the inspiration-seekers, and everything in between. Attendees will get the opportunity to hear people share their own wisdom, stories, and tips for business and life success. Light hors d’oeuvres will be provided, and the first 50 guests will receive a drink ticket. IdeaCamp is FREE for Beach Chamber members and $10 for non-members. This IdeaCamp is presented by Southwest Airlines and sponsored by Beachy Beach Real Estate, Panama City Toyota, and ServPro of Bay County. To RSVP, click here.